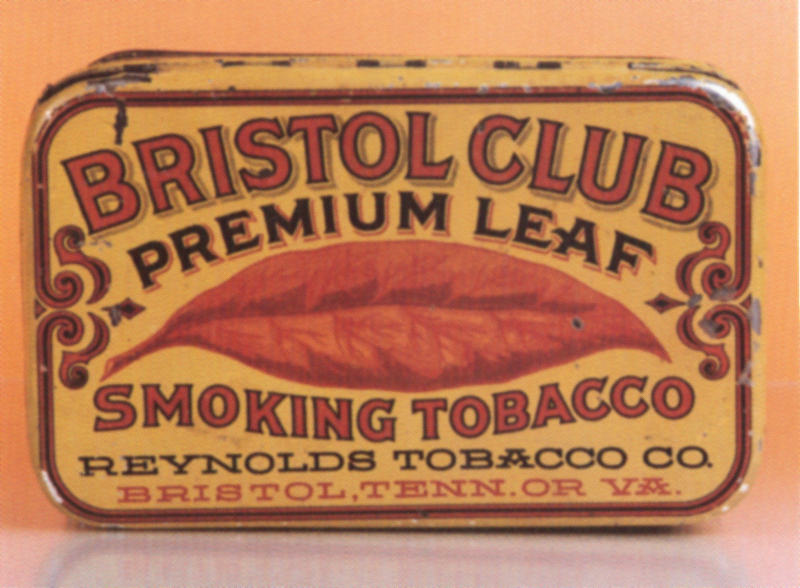 Beautiful tin featuring saturated reds and yellow tobacco leaf by Reynolds Tobacco Co., Bristol, Tennessee or Virginia. 3″ x 5.75″ x 4″. A rare find.